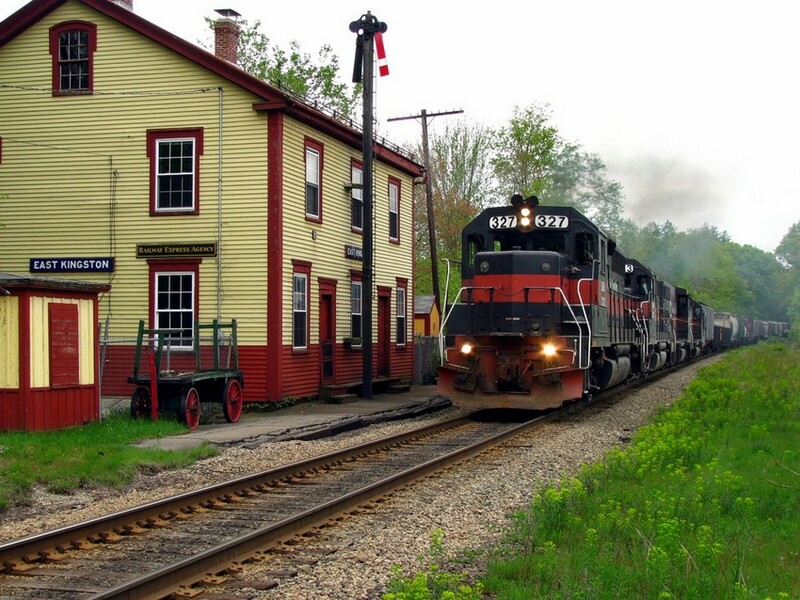 EDNM passes by the old B&M station at East Kingston,N.H., you couldn't get this shot if the sun was out. Photographed by David S.Hutchinson, May 14, 2009. Added to the photo archive by David Hutchinson, May 14, 2009.